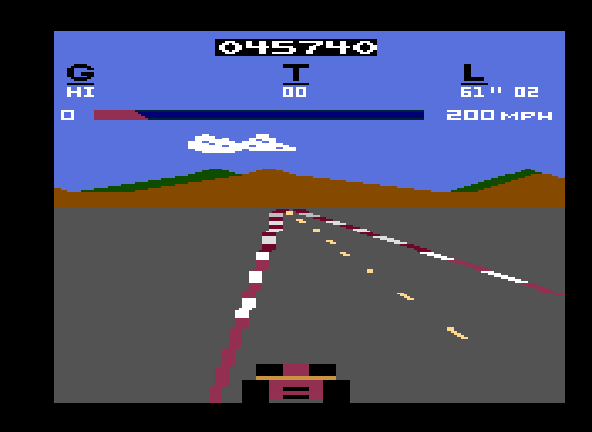 Play Pole Position online with Atari 2600 browser emulation for free! 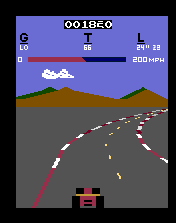 Pole Position (A2600) game rom is loaded with features in our flash, java and rgr plugin emulators. Nothing to configure, we've done it for you! My high score so far! 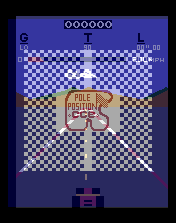 Pole Position was released in 1983 during the video game crash of 1983 so I don't think it sold to well. The game it self is fun and you will enjoy it. There is some problems but you will soon begin to ignore them. GRAPHICS: Your car is full of colors but the other cars are only yellow and they take up half the road so be cautious because they can change lanes. Plus every now and then as your driving you will see some random lines on the outskirts of the track. However there is an impressive background and the scaling is fairly good. 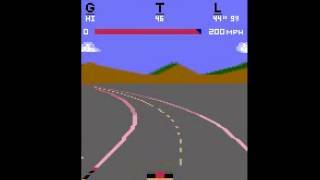 If your looking for an Atari racing game with good graphics, play Enduro. 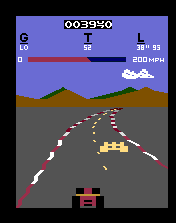 SOUND: This has some of the best sound you will hear on an Atari. There's sounds from everything you do. 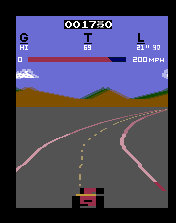 From the noise of your engine to the sound when the you pass the cars, even an impressive intro song at the beginning of the game. You will have a hard time finding such good sound on an Atari. ADDICTIVENESS: I find this game not too addicting. 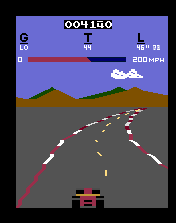 I've played more addicting Atari games like Ms. Pac-Man and Frostbite. 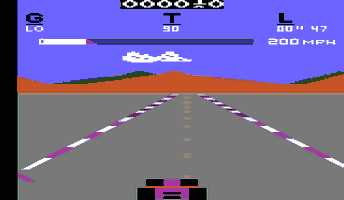 DEPTH: Only one track and one game variation. The programmer could have added more game variations to the game. That would have made it more fun. DIFFICULTY: Since the car take up half the road. It's restricts you to only one lane. 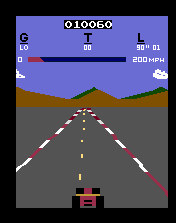 Plus the cars change lanes so you have to have a lot of skill to get a high score. 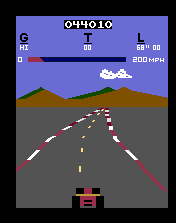 your going to play POLE POSITION!!!!!!! 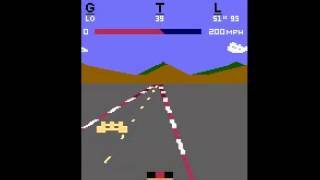 Kinda impressive 3d effect for atari 2600. 4 bit game 3D it is just amazing.